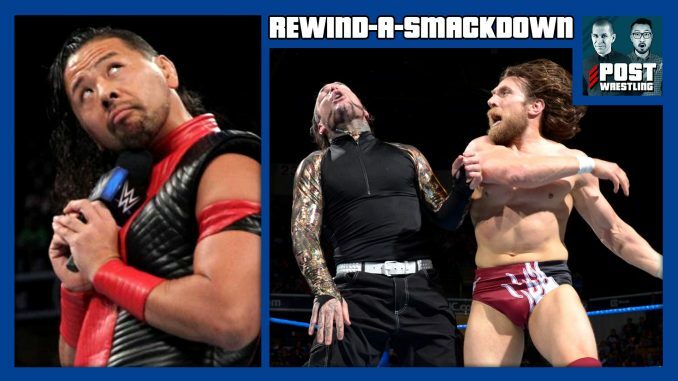 Daniel Bryan vs. Jeff Hardy for the first time with the winner facing Samoa Joe next week, Shinsuke Nakamura reveals the stipulation for his match against AJ Styles, and The Miz stirs things up between The New Day. John catches us up on NJPW’s Best of the Super Juniors tournament including his recommended matches thus far, plus Tuesday’s surprise appearance from Chris Jericho. We discuss the latest episodes of Table For 3 featuring Edge, Christian & The Hardys as well as Jeff Jarrett, Road Dogg and Elias. Due to time constraints, there is no POST Wrestling Forum Café feedback this week. Please leave your feedback and questions in the comments below and we will do our best to respond.